Not all of the effects of Hydrocodone are comfortable, soothing or otherwise accepted with welcome arms. In fact, many of the effects of hydrocodone are actually dangerous, unwelcome or otherwise uncomfortable. The following effects may occur in a user who has taken a small dose of Hydrocodone or they could occur in a user who has taken an abundance of the drug. Certain effects do not appear until the drug has been abused for a prolonged period of time. Hydrocodone causes a number of side effects that you should be aware of. Drowsiness or feeling tired is one of the first effects of Hydrocodone to be felt. It will typically wear off after a few doses as the body adjusts to the medication. Feeling dizzy or as if you cannot stand or walk may occur when you first take Hydrocodone. Like drowsiness, dizziness usually wears off after a few doses as the body develops a tolerance to the medication. Hydrocodone can cause you to feel tired, lethargic or weak. Weakness of the muscles and overall weakness of the body are very common effects of Hydrocodone in early use. Many people who take this medication will feel sick or nauseous. While vomiting is a less frequent occurrence than nausea, some will feel so sick that they will actually throw up upon taking the medication. Nausea is also likely when tolerance has developed and Hydrocodone use stops. Difficulty seeing, blurred vision or double vision are all possible side effects of Hydrocodone. These effects generally subside within a couple of doses as the body adjusts but if they become severe they should be discussed with a healthcare professional. Although dry mouth is not one of the most common effects of Hydrocodone, it does occur. Dry mouth can be best counteracted with fluid intake and by avoiding things like caffeine and alcohol while taking this medication. A lack of hunger or a reduced liking to food are both common effects of Hydrocodone. Loss of appetite is generally not a danger unless it persists and the user does not eat at all. Many people feel comfortable while taking Hydrocodone but in some cases it can result in heightened anxiety or fear. Anxiety should be closely monitored to ensure patient safety. People who take Hydrocodone may feel comfortable and happy despite negative situations occurring around them. This false sense of well-being is one of the more dangerous side effects of Hydrocodone. As Hydrocodone use persists, the user may feel like he or she must take more of the drug to produce the desired effects. Tolerance is a common effect of Hydrocodone and also the first sign of physical dependence. Many people who take this medication will become moderately to severely depressed. 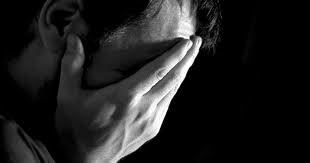 Depression is a dangerous condition that can lead to serious consequences and should not be overlooked. Hydrocodone use interrupts the regular sleep patterns that an individual will have and may result in nightmares. Nightmares are common for many days or weeks after Hydrocodone use stops. Sleep adjustments or a lack of sleep are all likely effects of Hydrocodone. Insomnia often occurs when a user has taken this medication and is also likely when a user attempts to quit taking the drug. Physical dependence on Hydrocodone is likely if the user takes the drug for more than a few days. The longer an individual uses the drug, the more the user takes and the presence of underlying health conditions can all increase the risk of dependence. Ultimately, Hydrocodone is taken to relieve pain and that is one of the most common effects of the drug. Pain relief typically occurs within 30 minutes though it could take longer depending on the severity of the pain and the method of administration.